Phillippi Creek is Sarasota Bay’s largest freshwater creek. It flows from humble headwaters at Sarasota’s renowned birding hotspot, the Celery Fields, meandering through reflective moments of old Florida, past sleepy suburban backyards, under frenetic commercial corridors to peaceful mangrove stands and oyster beds — where it finally rolls into Roberts Bay and the Gulf of Mexico. 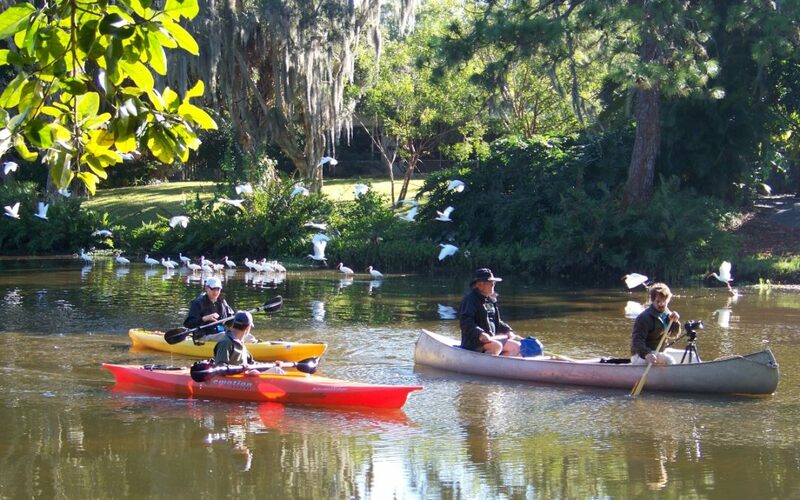 Phillippi is a tidal creek, meaning its waters rise and fall with the tide, providing a dynamic mix of habitats for many of our area’s iconic fish and wildlife. Over the last century, as urban development replaced natural environments, stormwater runoff carried more and more nutrient and bacteria pollution from fertilizers, leaking septic systems and urban pet waste into the Creek. Phillippi Creek has seven miles of tidal creek and 100 miles of man-made canals collecting polluted runoff from over 56 square miles of land upstream. Over time, erosion filled the Creek with sediments and reduced flow. Recognizing the opportunity to improve their creek, residents and organizations in the Phillippi Creek Watershed and Sarasota County Government launched an initiative to improve water quality in Phillippi Creek. Are you in? Pin the map to find out! Check out our community gallery! Science and Environment Council is a local 501(c)3 not-for-profit with a mission to increase science-based environmental understanding, conservation and restoration through collaboration and public engagement.